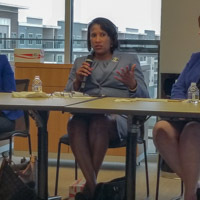 The Capital Area Bar Association’s Women’s Initiative Committee, co-chaired by Keishunna Webster and Kaytie Pickett, was proud to present a panel titled, “Balancing the Scales: Leading Women Lawyers on Meeting the Challenges of the Legal Profession,” on March 20, 2018. 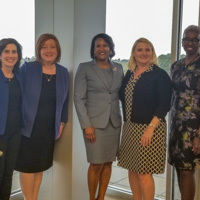 Stephanie Rippee of Watkins & Eager moderated the panel, which featured some of Jackson’s most distinguished female lawyers: Margaret Cupples of Bradley Arant; La’Verne Edney of Baker Donelson; Charlene Priester of The Priester Law Firm; and Aileen Thomas of Jones Walker. Ms. Rippee guided the panel through a series of thought-provoking questions on the challenges the panelists faced in their careers. Ms. Thomas emphasized to the attendees the need to set priorities and, on the truly unimportant things, to not let the perfect be the enemy of the good. Ms. Edney spoke on setting boundaries and expectations, knowing one’s own value, and reaching out to lift others up. Ms. Priester kept the crowd laughing, but the attendees took seriously her wisdom on the advantages of having your opponents underestimate you. And Ms. Cupples addressed the importance of having a network of supportive women and mentors in one’s life and of earning trust from colleagues. 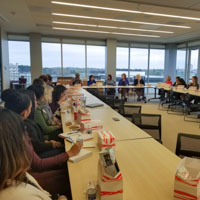 The CLE was well-attended by women at all stages of their legal careers, from first-year lawyers to the Honorable Patricia Wise and the Honorable Latrice Westbrook. 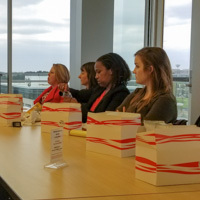 The Women’s Initiative was thrilled with the robust turnout and grateful to Baker Donelson for hosting and sponsoring the event, as well as Jones Walker for additional sponsorship, and CABA’s leadership for their support of the program. CABA’s Women’s Initiatives Committee plans and oversees various initiatives and service projects of interest to women in the legal profession. To join the Women’s Initiatives Committee, please visit our Committee Page.